Don't miss this opportunity! Buy your tickets now! Secure your spot in our Drama Camp!! Congratulations to AJ Henley for placing first in Dramatic Interpretation, Townsend Amick and Asheton Arnold for placing first in Duo Oral Interpretation, Will Amsbaugh for placing second in Humorous Interpretation, Anna Roberts for placing second in International Extemporaneous Speaking, and Sydney Schulte for placing first in Women's Choral Solo. Congratulations to everyone who participated! 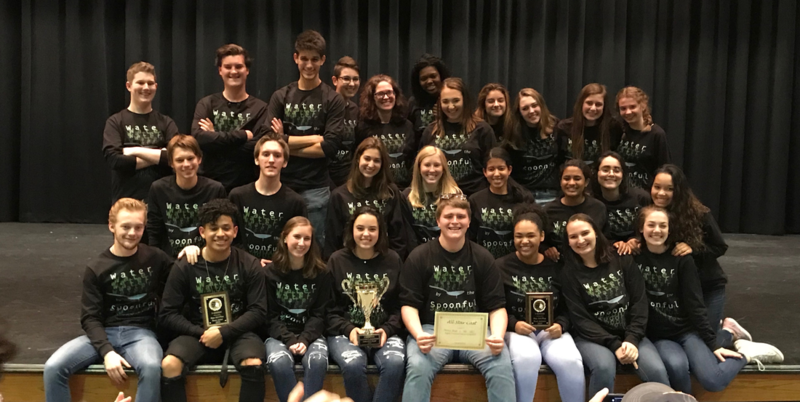 We are proud of our KMHS Drama, Chorus, and English Departments! Once on this Island ! How can you support KMHS Drama? 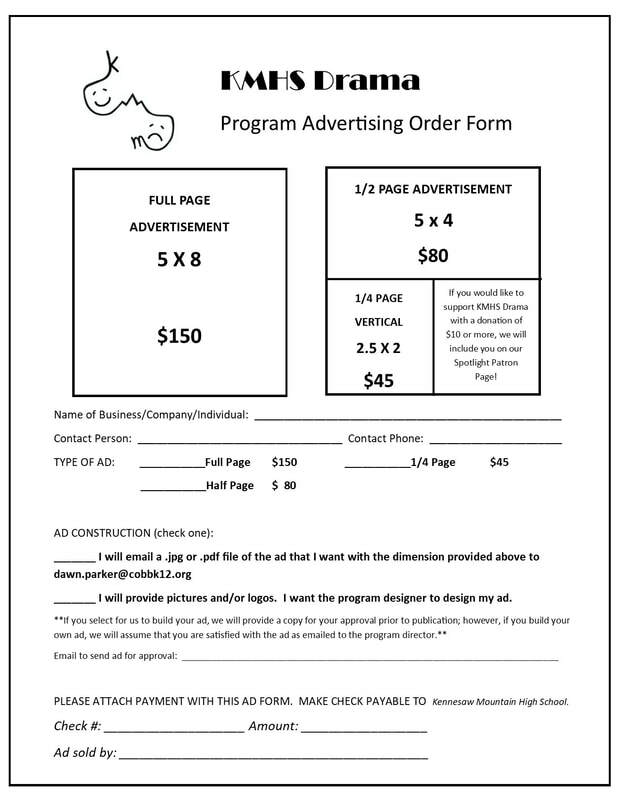 Consider purchasing an ad that will run in ALL of our show programs for the year! You can send us your ad or we can create one for you - support the arts and promote your business at the same time! 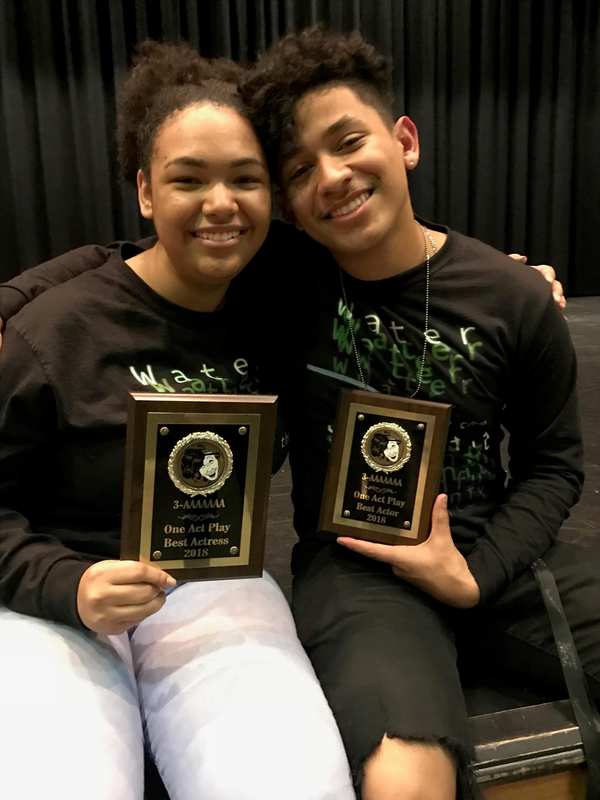 Water by the Spoonful - Region 3-7A One-Act Champions!! ​was named All-Star Cast for his role as Chutes&Ladders!